The Iranians Never Signed Obama’s Deal! 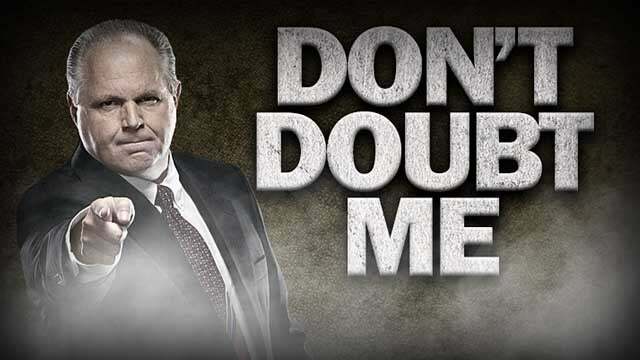 RUSH: I want to go back to one thing that happened in the final hour of the program yesterday and reiterate something. We had a very nice caller intimating that I was stupid, ignorant, and full of it and embarrassing him, necessitating him having to defend me to people criticizing me because I had said that the Iranians didn’t sign the Iranian nuke deal that Obama had put forth. And he said he was trying to protect me from myself, trying to save me from myself, trying to prevent me being embarrassed in the future. ‘Cause he loves me, wants to defend me, but when I say stupid stuff like that, it’s very hard. He wanted me to correct it. Of course, I wasn’t wrong. The Iranians never did sign it and I had mentioned all this. It happened in the third hour yesterday. So I wanted to mention it here at the beginning of the program and reach, perhaps, additional numbers or different segment of the audience. “On November 19, 2015, the State Department sent a letter to then-Representative Mike Pompeo that severely undercuts the notion that the Iran deal represents any form of binding American commitment. It turns out that the Obama administration,” Obama’s own State Department, “not only acknowledged that the deal wasn’t a treaty…” By the way, somebody needs to tell that idiot Colbert ’cause he was out calling it a treaty and how could Trump just unilaterally cancel it. “[T]he Obama administration not only acknowledged that the deal was not a treaty, which is obvious enough, it also admitted that it wasn’t even an executive agreement! Nor was it a signed document. Here the key paragraphs. I’m gonna read to you from the Obama State Department. “[T]he Obama administration not only acknowledged that the deal wasn’t a treaty (obvious enough), but it also admitted that it wasn’t ‘an executive agreement’ or even a ‘signed document. '” Here are the key paragraphs. I’m going to read to you from the Obama State Department. Well, guess what? We did, this week, under the auspices of President Trump. So not only was it not signed and not only was it not a treaty. It wasn’t even an executive agreement. It was nothing more than a “statement of principles,” which is exactly and all that the Paris climate accords ever have been. They have no officialdom to them. They were nothing more than a collection of nations making promises to try to limit CO2 emissions by X percentage — whatever a country wanted to promise and pledge — over the next whatever number of years. So there was never any force of law. There was never any treaty. It was, as I said yesterday, nothing more than Obama’s personal political preferences that nobody had the audacity to disagree with because he’s the first African-American president. But I just wanted to stipulate it wasn’t signed; it wasn’t ratified. The Iranians never signed it. It was never anything that was actually enforceable — and add to the insult of this, we paid them $150 billion to get them to ostensibly behave. We lifted sanctions, we gave ’em $150 billion; then we off-loaded $1.5 billion or $1.8 billion in cash on pallets that was essentially payments for the release of hostages the Iranians were holding. American hostages. Even when this was all done, John Kerry, who was the secretary of state at the time, admitted that some of the money would indeed — he said a slice of it would — find its way to terrorist client states of Iran. So I very much… Let me just say, I very much am sensitive and aware of how desperately all of you want me to be right and how you don’t want me to make a mistake. You are very protective, and I appreciate it. But on this one, no error and no mistake, and I just wanted to wrap it up. 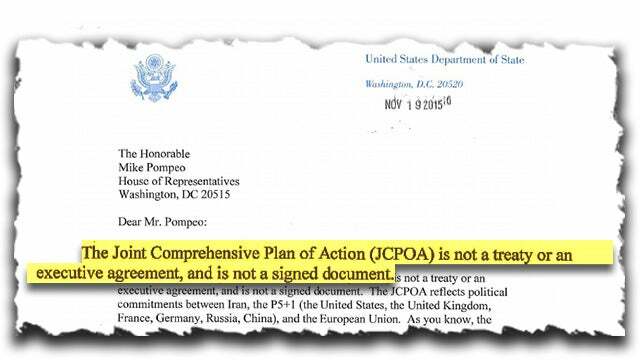 I think the fact that even the Obama State Department admits that it wasn’t signed by the Iranians, much less not being a treaty, reinforces the point that I made yesterday. If you really believe in something and you’re president, get the elected representatives of the people behind it. Make it a treaty. Trump could not have gotten rid of this if it were a treaty. If it were a treaty, we would have been committed to it. But note he couldn’t get the votes of the Senate from a treaty. Nobody was in favor of this deal. Nowhere near the number of people required to make it a treaty or to give any kind of statutory force of law. It was nothing more than Obama’s personal preference. Now, the caller said that he was concerned — he was worried — because this is the only place he had heard that the Iranians hadn’t signed it, and that worried him. Ladies and gentlemen, that’s often the case. This is the only place you will hear things that are accurate and true. Don’t doubt me. But I appreciate the desire. I need the need to be protective and so forth. I understand you’ve got these friends, and you’ve been telling them to listen for years, and they won’t do it because they think I’m whatever the media says. Then the one day — one day — they tune in and you think I blow it by saying the Iranians didn’t sign the deal! Now, you gotta defend me; you don’t think you can. But you can! You can always defend me. Just do it!